I’m seeing a couple of tier 1 reports scheduled on the forex calendar this week, fellas! See if you can trade ’em with these hot trend and breakout setups on EUR/JPY, GBP/JPY, and EUR/GBP! Looks like the double top and descending triangle setups that we spotted played out pretty well! The bears have rallied enough troops to drag the pair beyond the 116.50 hurdle and it looks like it’s headed for EUR/JPY’s 2016 lows. 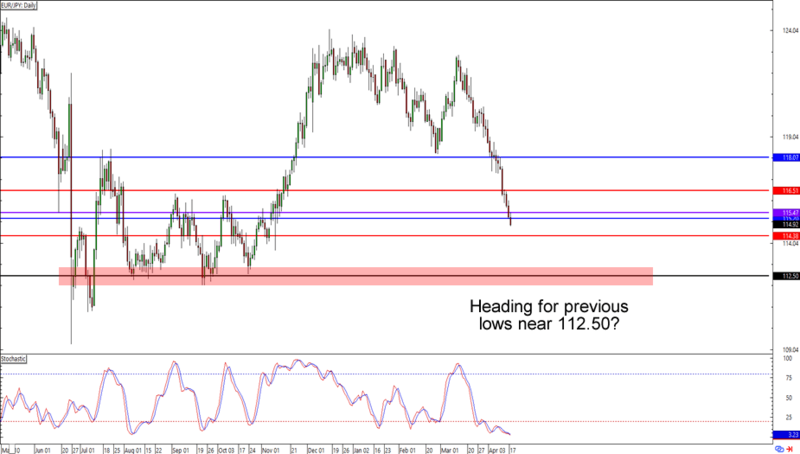 If the downtrend remains unchecked, then we could be looking at the retest of the long-term term support near 112.50. Watch out for the bWATR area near 114.50 though, as the bulls can always put up a decent fight around the area. In any case, make sure you keep close tabs on candlesticks to find cues on EUR/JPY’s momentum! 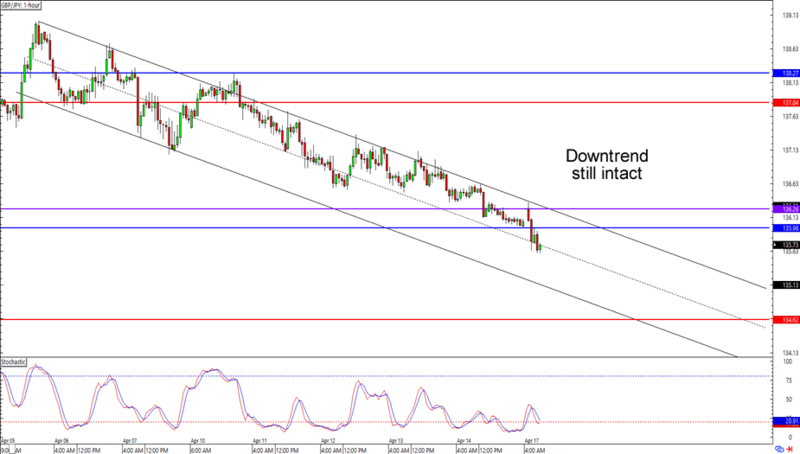 GBP/JPY is still chugging along its downtrend, this time encountering resistance near the 113.25 levels. The mid-channel support and the bullish divergence I’m seeing could give the bears a pause, however. If the bulls follow up on the bullish signals, then the pound could bounce back up to the channel resistance near the 136.00 MaPs where you could position your shorts better. But if the bears decide to carry on, then we could see a move down to the 135.00 channel support, if not the 134.60 bWATR area. Is that a breakout I see? 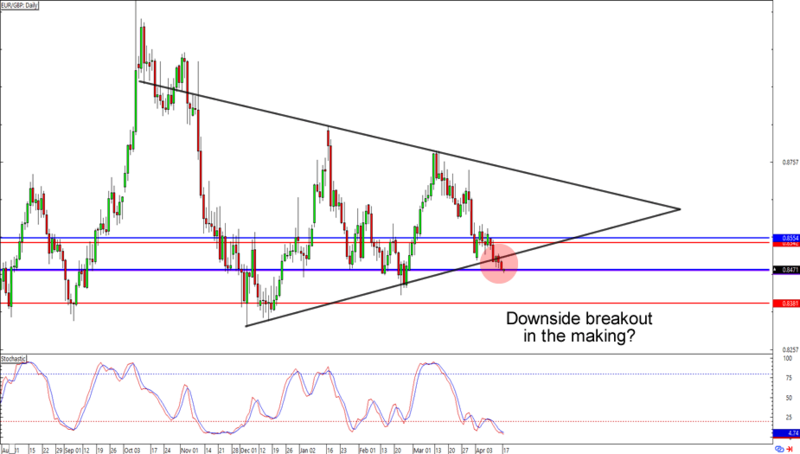 For the past couple of weeks we’ve been watching EUR/GBP’s triangle for a possible breakout. Thing is, the pair is slowly sliding below the triangle support instead of showing an epic breakout. Will the WO and PWL levels push it back up to the triangle? Or will it continue to (slowly) drop down to the .8380 bWATR area? A bounce from its current levels could boost it back up to revisit the .8650 – .8700 levels, while a confirmation of the downside breakout could urge the bears to drag it down to the bWATR or .8300 area.